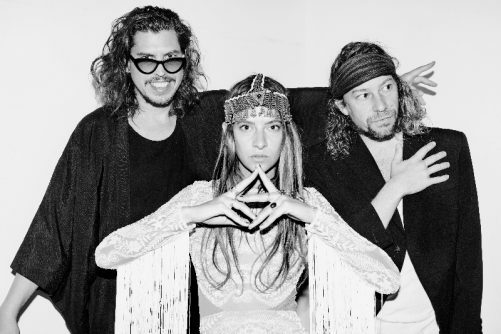 For those of you not yet familiar with the Dutch-New Zealand trio ‘My Baby’, they play roots-driven hypnotic dance. It’s a sound informed by gospel and blues singing and playing fused with ancient folk melodies. Added to that is the rawness of seventies funk, African desert blues, Moroccan gnawa, Indian raga and a touch of EDM all played on guitars and drums without using computers or samples. They have been spreading their psychedelic blues-trance rave to the approval of audiences worldwide since 2012, featuring on renowned festivals such as Glastonbury (UK), Isle of Wight (UK), Sziget (HU), Fusion (DE), Exit (RS), Lowlands (NL) and Pinkpop (NL).